What a delicious way to use up that abundance of zucchini. 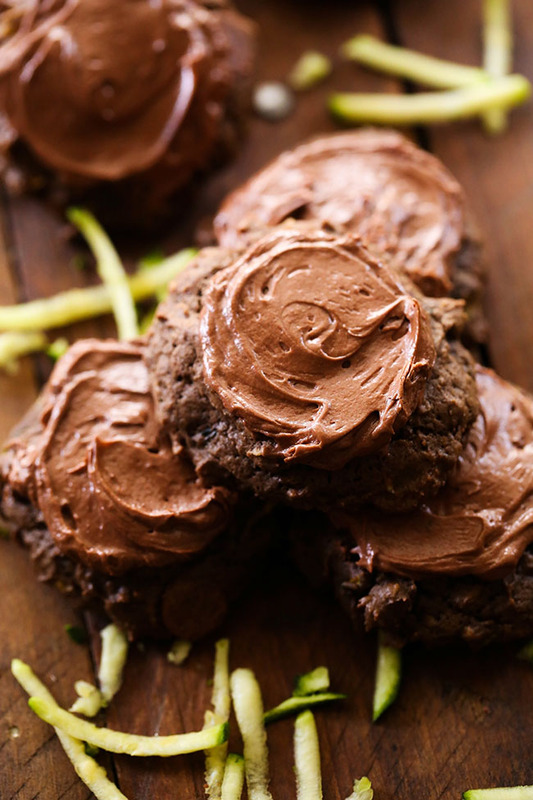 These chocolatey cookies are moist and wonderful. Don't want chocolate? Leave out the cocoa and chocolate chips (or you can add white chocolate chips) and you have a vanilla cookie with vanilla frosting. In a large mixing bowl combine beat butter and brown sugar until cream and smooth. Add egg and vanilla. Add Zucchini and mix again. Add flour, cocoa, oats, baking soda, and salt. Stir in chocolate chips. Spoon cookies onto cookie sheet using large spoon. Bake for 8 to 9 minutes. In a medium bowl beat butter. Add powdered sugar, cocoa, and milk. Beat until creamy and smooth. Add vanilla and salt and and beat again. Frost cooled cookies.